Here you can find answers to the most common questions about John Louis Home products and installation. For any other questions, please call cusotmer servicxe at 1.800.480.6985 for assistance. Q. Will a John Louis Home Closet System fit my closet size? 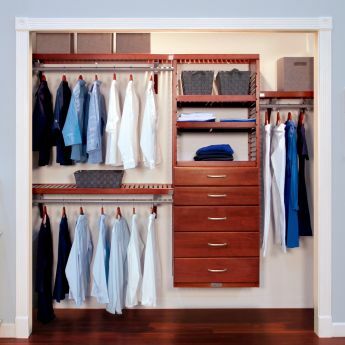 All John Louis Home Closet Systems fit closets up to 10 feet in wall length. Because the maximum configuration width is 10 feet, the closet system will fit into any wall dimension that is 120 inches (10 ft.) or less. This is achieved by how the shelves are positioned to cover the required span. When used in closets where the width is less than 10 ft. the excess shelving from any cuts can be used back in the organizer allowing you to use the most out of your organizer with minimal waste. Our organizers include enough material to split between closets when dealing with much smaller spaces such as a 5ft. 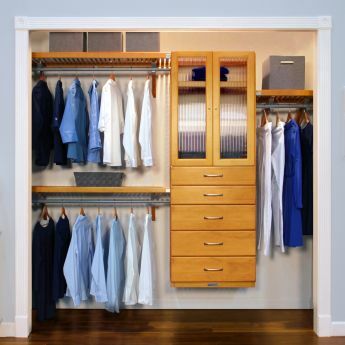 wide closet or across multiple walls when dealing with tight walk-in spaces. Q. What if my closet is greater than 10ft wide? Our closet systems reach up to 10ft. wide. However, you may go up to 12ft.. When this is done you are using all of the material at its maximum, thus leaving the tower with only two 24in. shelves. When using a 10ft. configuration, you are able to place cuts within the tower thus filling it out. You will most likely need to purchase additional tower accessories when using the organizer in a 12ft configuration. When homeowners run into a closet that is greater than 120in. they typically follow three options. 1) Using 6ft lengths to cover the span. (120in.). For Example: 6ft. 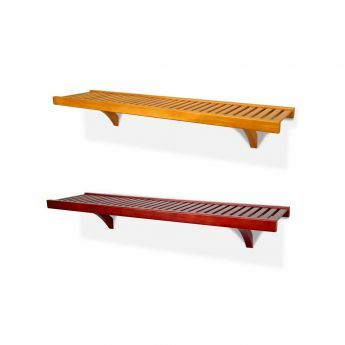 shelf, 4ft. shelf, 6ft. shelf. Starting from left to right. 6 ft. shelf as top shelf with tower placed under it flush with right end. 4 ft. shelf placed under 6ft. between side wall and tower creates double hang shelf. Cutting the 6 ft. shelf the required size from the end of the tower to the opposite wall This will leave no additional cuts available to put back within the tower and may require additional tower items (such as adjustable shelves) to be purchased to fill in tower. 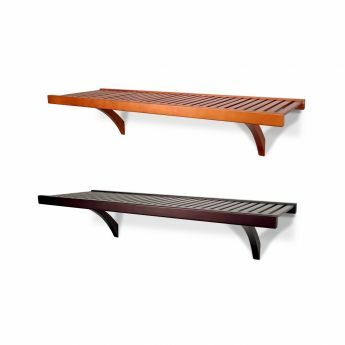 2) Purchasing an 8 ft. length and cutting that shelf to use with the organizer during the installation process (over 120in.). For example: Using the included parts 4ft shelf , 6ft shelf, 6 ft. shelf, Tower with 8ft. shelf (added). Starting from left to right. 6 ft. shelf as top shelf with tower placed under it flush with right end. 4 ft. shelf placed under 6ft. between side wall and tower creates double hang shelf. Cutting the 8 ft. shelf the required size from the end of the tower to the opposite wall. Cutting the last 6 ft. shelf into three 2ft. wide shelves to use back within the tower as additional adjustable shelves. 3) Purchasing a tower & accessories and using that item to fill in the needed distance. (over 120in.). For example: Using the included parts 4ft shelf , 6ft shelf, 6 ft. shelf, Tower with tower (added). Starting from left to right. 6 ft. shelf as top shelf with tower placed under it flush with right end. 4 ft. shelf placed under 6ft. between side wall and tower creates double hang shelf. Placing the additional tower on the opposite corner or right next to the existing tower. Cut the last 6 ft. length the needed distance between the towers or the tower and wall depending on where you placed the added tower. There is no proper area to place a tower. You may either place them on the ends or next to each other. It is more relative to what your needs or likes are. Q. What if my closet is less that 6ft. wide? Since our closets are cut to fit, Most homeowners who have a closet of 6ft. 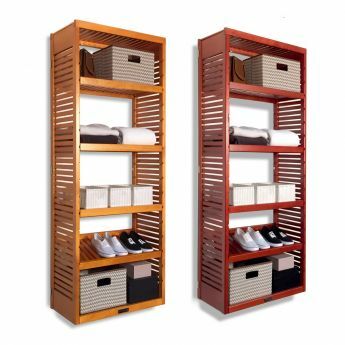 or under split the parts within a closet organizer and use them between multiple closets whether bedroom, laundry, hall or linen. Then customize the design based on the parts available. Q. What is the height of a John Louis Home Closet System? Q. How is the closet system mounted? John Louis Home makes use of an "Off-The-Floor" wall mounting system. The system utilizes 3 universal bracket types that are secured onto the walls. The shelves are then locked into the brackets. Since the shelving covers the majority of the brackets, minimal hardware is open to view. Because the closet system is raised, the closet floor space is clear of any obstructions. Q. How do you install a John Louis Organizer? 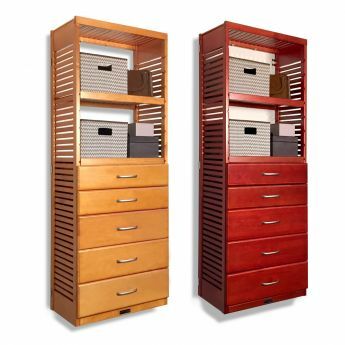 John Louis Home closet organizers are an off the floor cut to fit system. Exactly what is a cut to fit system? This means you cut one or two shelves to your exact closet dimension utilizing every space. Excess shelf cuts are then positioned back into the organizer creating more shelves. The way you position the shelves is how the closet width is covered. When installed in a closet where the wall is 8 feet wide or less, you will be able to make additional 24" wide shelves from the excess shelf cuts to be used within your closet system. Since there are no predetermined positions, you can place shelves at any height you choose. Q. How can I configure my John Louis Home Closet?? Any way you desire. 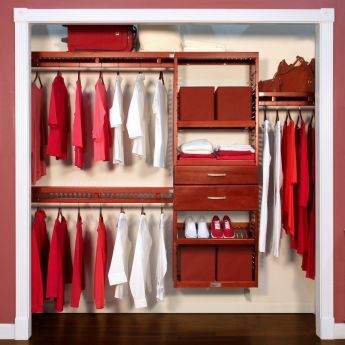 If you purchased a John Louis Home Closet System, 8 standard configurations are supplied (4 - 8ft. designs, 4 - 10ft. designs) for your convenience. 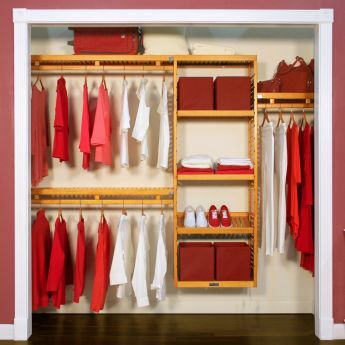 The closet system is designed to be cut and configured to meet your needs. 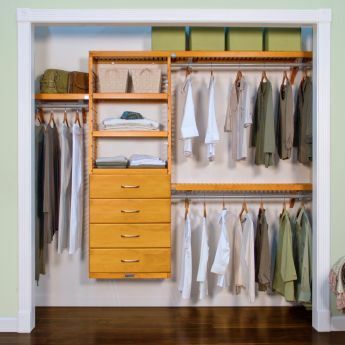 When your designing for multiple walls in a walk-in closet just think of one organizer per wall. Pick your configuration for each wall with the perpendicular shelves in the corners located at the same height to create a uniform turn. For smaller walk-ins use configurations on opposite walls and/or join them together with a shelf on the perpendicular wall. Q. What do I do if I need more than just a Closet System? Everything you need to create your own custom design is at your fingertips. Integrating additional towers, shelf runs and more into an organizer configuration is easy. Just start with a Closet system and build on from there. 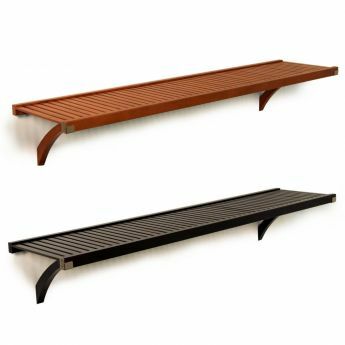 Individual shelf lengths, components, hardware and accessories are available from John Louis Home. If you just need a shelf or want to design your whole house, John Louis Home can provide you with the solution. Q. Can an organizer be "free hanging" or not connected to sidewalls? All John Louis Closet organizers and shelves require attachment to a back wall as they are designed to be off the floor to allow for open floor space. However, they do not require sidewall attachment. So you can install them anywhere on a wall. Single shelves just require angle bracket to be installed under them. On the 12in. premier, 16in. deluxe, 12 and 16in. Woodcrest organizers all of the main shelves are supported with angle brackets under the them to use with the metal garment bar. This allows the unit to be "free hanging" with no side wall support. In the case of a 12 in. Standard or 12 in. Simplicity organizer you would be required to purchase additional angle brackets to provide underside support where you have no sidewall attachment. Q. Does John Louis Home closet solutions use corner pieces to connect perpendicular shelves? John Louis Home storage solutions do not use corner shelves. Instead you would run two shelves directly into each other. One shelf (A) is installed on wall A. The other shelf (B) is installed to wall (B), the perpendicular wall, and secured to the front of shelf (A) using a shelf end bracket where they meet. It's that simple. Keep in mind that when installing garment bars both bars do not run to the end of each shelf. One bar runs the length while the other bar is cut short to allow for the hanger space from the opposite bar. Q. Do garment bars attach to the walls? The metal garment bars are cut to length. They are secured to the J-hooks which attached angle brackets positioned under the shelf length. The wood garment bars are cut to length. They are secured to wood bar spacers which are attached to the front rail of a shelf. Q. What tools are necessary to install a John Louis Home Closet? All you need is a tape measure, pencil, level, screwdriver (preferably a powered driver), saw (preferably a Chop Saw or fine blade hand saw) and a basic proficiency with do-it-yourself projects and tools. Q. Can John Louis products be installed on brick or plaster? John Louis Home products were designed for installation on current construction specifications and methods of wood studding and drywall. While is can be installed on alternative wall types, custom wall preparation and hardware will be required. Q. What if my cut measurement is located in the middle of a shelf slat? There's two ways to handle this. One - The size of the shelf end bracket allows for short cuts. Therefore you may cut at the nearest slat side of your measurement. Two - Make your cut using a fine-toothed straight handsaw. Place the cut slat side facing the sidewall. Q. Can I mix 12 inch shelving with a 16 inch shelves and tower? Q. 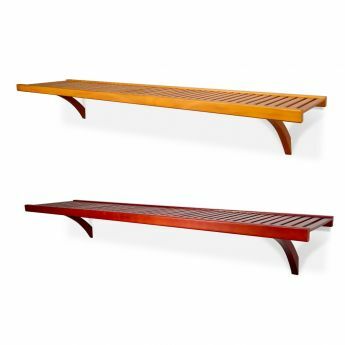 Can I use the wood garment bar on a 16-inch Shelf? Q. Will the solid wood warp? Free shipping available on all orders over $350.